Ernie Cline. What is he thinking? I first discovered Ernie Cline several years ago on a podcast called IndieFeed Performance Poetry. His spoken word piece “Dance Monkeys Dance” was witty, thought-provoking, and humorous. But it was another piece called “When I Was a Kid” that really caught my attention. Packed with pop culture references that any 80s kid would appreciate, this hilarious piece managed to be both current and nostalgic — and super-duper delightful. 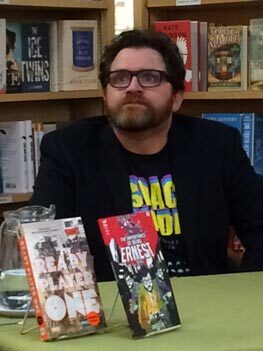 I went off in search of more work by Mr. Cline and soon found myself buried in the pages of his first novel, Ready Player One, a dystopian science-fiction adventure with a cyberpunk vibe. It was a page turner, packed with the same kind of pop culture references that I loved in “When I Was a Kid.” Ready Player One became one of my favorite books of the past decade, so I’m thrilled that one of my favorite directors, Steven Spielberg, will be directing the film (totally apropos!). Do you ever feel like strapping on a couple of samurai swords and diving headfirst into a parallel universe where pizza delivery is a life-or-death occupation? Interested in leaping onto a skateboard that can scale bushes and latch onto speeding cars? Have you ever wanted to go head-to-head with a nuclear-missile-toting ogre who has more strength in his pinky than the entire Justice League combined? Get a copy of Snow Crash and your dreams will soon be realized. This book was recommended to me several years ago by a co-worker who also happened to be a fellow fan of science fiction. I finally got around to buying a copy a couple of months back. I read the first chapter after a very long, hard day and it totally fried my brain. I put it down and didn’t give it a second chance for almost a month. I only continued reading because it had come so highly recommended. And boy, am I glad! 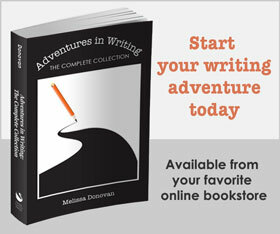 At first, there’s a lot of new vocabulary to absorb. As with most science fiction, the story is set in a pretty unfamiliar world, but what a world it is! Stephenson’s imaginings are not only insanely clever, some of them are spot-on predictions of the future when read in retrospect. Originally published in 1992, just before the big Internet boom, Stephenson obviously wrote this book long before the full potential of the Web had been realized, so it’s uncanny how he describes the Metaverse. It’s very much like today’s Internet except its version of Second Life is called the Street, and it has clean, perfect functionality. Throughout the course of my reading, I was amazed at Stephenson’s foresight (trust me, you will be amazed too). I desperately want to get my hands on his futuristic badass computer equipment. Hiro Protagonist is the enigmatic lead character. His nature is revealed slowly over the course of the story and you’ll have to read to the end to really decide whether he’s a bad guy or a good guy. Hiro is one of the last freelance hackers and most talented swordsmen in the world. YT is the charismatic fly-in-your face sidekick with more attitude than a band of Harley-riding Hells Angels. You’ll love her instantly, but at the same time, she’ll kind of insult you and leave you questioning your coolness factor. And there’s more–tons of colorful characters that are simultaneously over-the-top crazy and so real that you think you might bump into one of them on the street tomorrow, or perhaps next week. 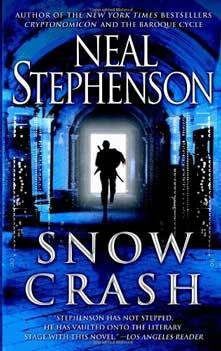 So what, exactly, is a snow crash? You’ll have to read the book to find out. When you do, come back here and let’s talk about it!